Bloody Face is a serial killer identity that began a reign of terror in the early '60s and continues with his horrors throughout American Horror Story Asylum. 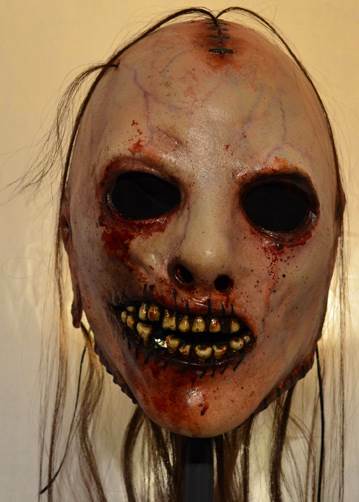 This Bloody Face Halloween Mask was sculpted by Justin Mabry and licensed by 20th Century Fox. DonÐ²Ð‚â„¢t miss your chance to scare everyone this Halloween as Bloody Face from American Horror Story Asylum.